Global Warming Scam - is it a lot of hot air? There are claims of a global warming scam that is being driven by scientists who know that if their work is in no way alarming, their research will sit on the shelf gathering dust, and their careers will go nowhere. The common theory of global warming is based on greenhouse gas levels increasing, particularly carbon dioxide. Some scientists have claimed that all the recent weather changes are due to global warming. When the earth temperatures reached near record levels in 2005, it was claimed to be due to global warming. When the earth cooled and it snowed in places that had not experienced snow for decades, as occurred in 2008, it is equally claimed to be due to global warming. Some scientists are questioning how global warming can cause global cooling! 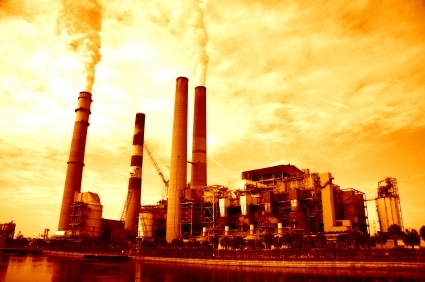 Over 31,000 scientists in the U.S. signed a petition in May of 2008 affirming that "there is no convincing scientific evidence that human release of carbon dioxide, methane, or other greenhouse gases is causing or will, in the foreseeable future, cause catastrophic heating of the Earth’s atmosphere and disruption of the Earth’s climate." Is There a Global Warming Scam? A growing number of scientists now believe global warming is caused by the sun, as it is burning more brightly now than at anytime in the last 1,000 years. A study by Swiss and German scientists say that over the last century the number of sunspots rose at the same time that the Earth's climate became steadily warmer. Global warming and melting polar ice caps are not just problems here on Earth. Mars is facing similar global changes and Jupiter now has a third red spot, which is likely related to large scale climate change as the gas giant planet is getting warmer near the equator. Neptune has also been getting brighter since around 1980, and infrared measurements of the planet since 1980 show that it has been warming steadily from 1980 to 2004. Although the Arctic ice is down 7%, the Antarctic sea ice is up over 43% since 1980, as it it cooling, and has been for several years. These facts have been used to support the claim that there is a global warming scam. "When the sun is active with a lot of sunspots, it also has many violent solar flares and coronal mass ejections. Though the total solar energy output increases only slightly when the sun is active, the amount of solar wind increases dramatically. Solar winds are also known to push back cosmic radiation originating from super novas in deep space. There is a statistically significant correlation between the amount of cosmic radiation entering the earth’s surface and the amount of low elevation cloud formation. The more cosmic radiation the more low elevation clouds that are formed. The more clouds, the greater the amount of solar energy that is reflected back into space, and thus the earth cools. When the sun is very active and there is a lot of solar wind, there is less cosmic radiation reaching earth, fewer low elevation clouds are formed reflecting less solar energy, and the earth warms. This relationship itself can account for most of the warming in the twentieth century. What concerns a growing number of scientists is that solar cycle number 24, the next 11 year cycle, should have started in 2007 and yet has not through September 2009. The sun has had very few sunspots so far, which has, in their opinion, caused the cooling over the past two years. Worse, the sun is the quietist it has been for over 100 years. Many solar scientists are alarmed that it might be heading towards the same type of minimum that occurred in the 1700 and 1800s, which resulted in what is known as the Little Ice Age." Do you have any knowledge or experience of the global warming scam to help others.